EH&S oversees compliance activities for contaminated sites on UW properties. Some UW properties have soil and/or groundwater contamination from past or present activities. These activities include industrial operations, dry cleaning, leaking heating oil tanks, hydraulic lifts, underground storage tanks, fuel storage or dispensing areas, improper hazardous materials storage and use, and the use of lead-based paint. EH&S oversees compliance with environmental assessments, release reporting and environmental remediation. We maintain records on all contaminated sites and can help identify known or suspected contaminated sites. The Montlake Landfill and the UW Tacoma campus are contaminated sites worth mentioning in more detail. The Montlake Landfill is located on in the northeast quadrant of the Seattle campus. It contains the Union Bay Natural Area, shorelines, wetlands and a riparian corridor. The site (formerly called the Ravenna Landfill) was operated as a municipal landfill by the City of Seattle from 1926 until about 1966 and was closed in 1971. EH&S reviews all projects that occur on the Montlake Landfill to ensure workers are aware of methane gas, soil and groundwater contamination, and landfill cap issues. The UW Executive Vice President established the Montlake Landfill Oversight Committee in 1999 to ensure appropriate use and protection of the site into perpetuity. The Montlake Committee has prepared an environmental guidance document to cover all operational and maintenance practices on the Montlake Landfill. See the Montlake Landfill Project Guide. The Montlake Committee has also prepared more detailed guidance on methane gas issues. See the Montlake Landfill Methane Action Plan for more information. UW Tacoma occupies a former industrial area in the historic warehouse district of Tacoma. During campus development, extensive soil and groundwater contamination was identified. The soil and groundwater contains volatile organic compounds, metals and petroleum hydrocarbons, depending on the location. The UW entered into an Agreed Order with the Washington State Department of Ecology to assess and clean up the contamination. Under the Agreed Order, the UW is considered a potentially liable party and is responsible for investigation and remedial actions. The University is in the process of conducting further environmental assessments across the UW Tacoma Campus footprint. We recommend that project managers conduct a Phase I Environmental Site Assessment. A Phase II Environmental Site Assessment may also be warranted, depending on the findings in the Phase I report. 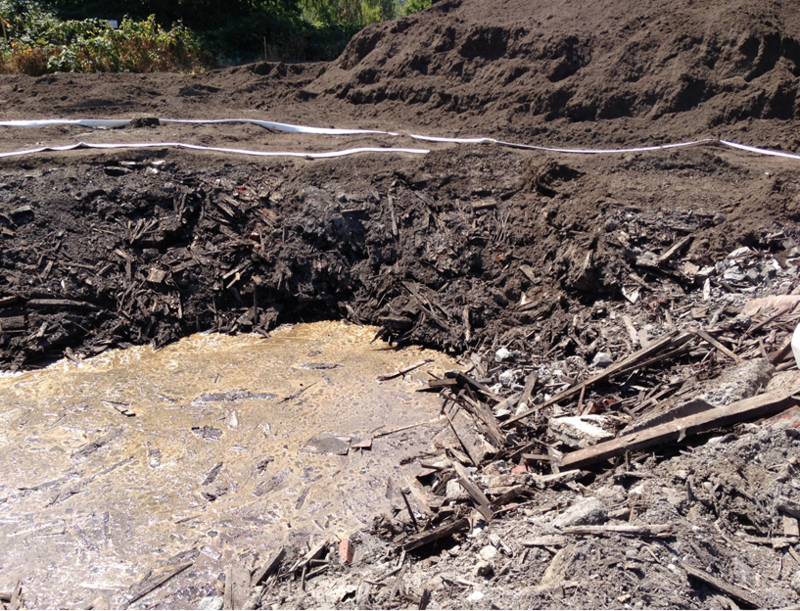 For assistance with site contamination issues such as the discovery of contamination or construction in known contaminated areas, please refer to the EH&S Design Guide on site contamination or call EH&S at 206.616.0585. Does the UW keep a list of all contaminated sites? Yes, EH&S maintains records on all contaminated sites and can help identify known or suspected contaminated sites. How should I determine if a site is contaminated? EH&S strongly recommends that project managers always conduct a Phase I Environmental Site Assessment to determine what activities may have occurred. We will review the report and, based on recognized environmental concerns, determine the need to conduct a Phase II Environmental Site Assessment. What should I do if I find contamination during a construction project? Contact EH&S at 206.616.0585. We are required to notify the Department of Ecology of site contamination discoveries, assessments and cleanup actions. If a leaking underground storage tank is found, EH&S is required to report this discovery within 24 hours.